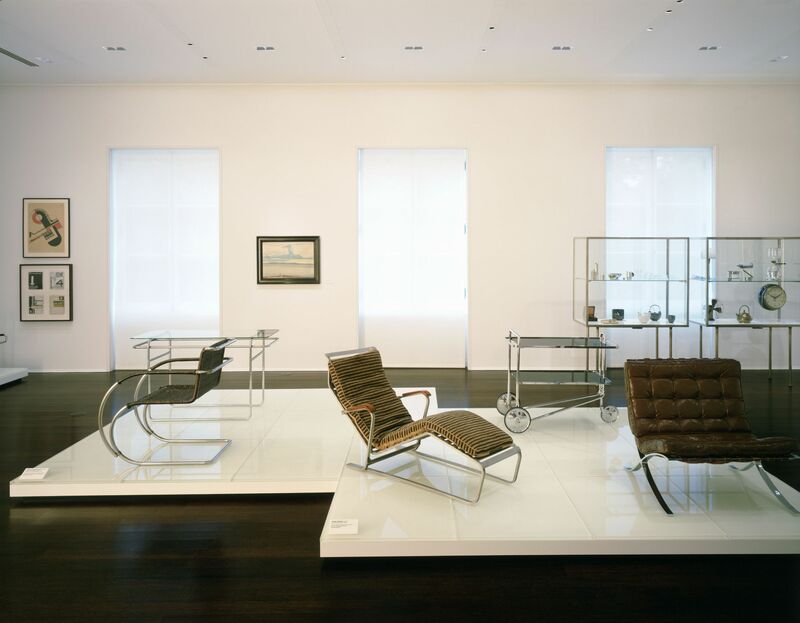 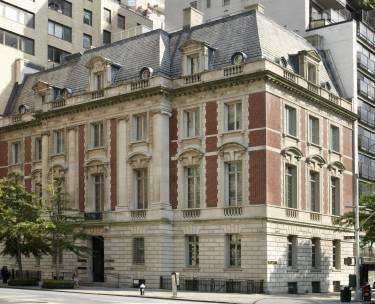 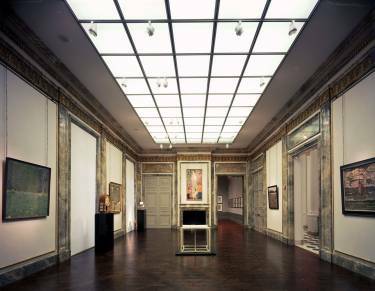 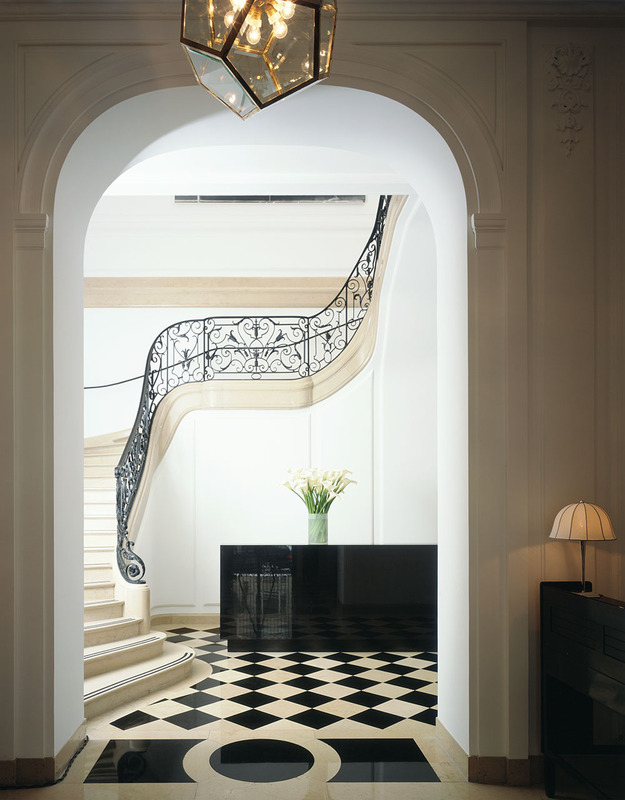 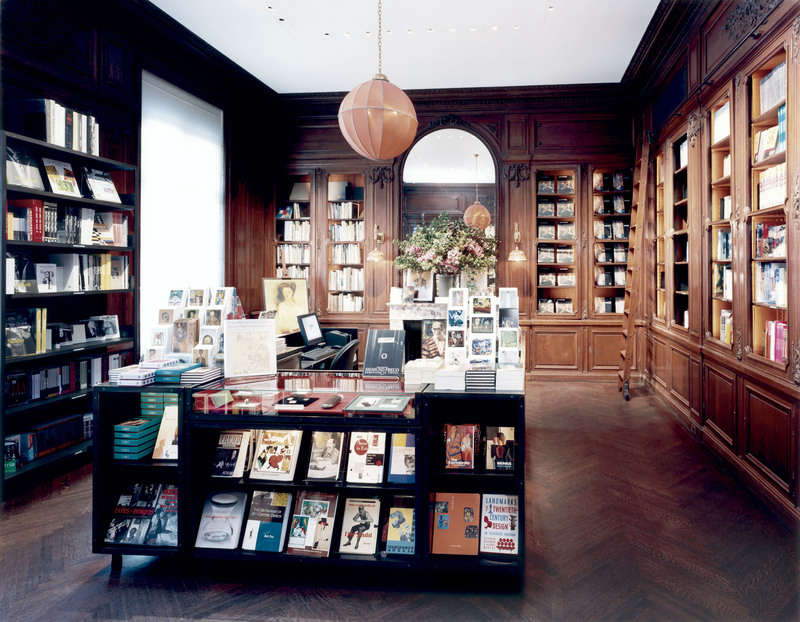 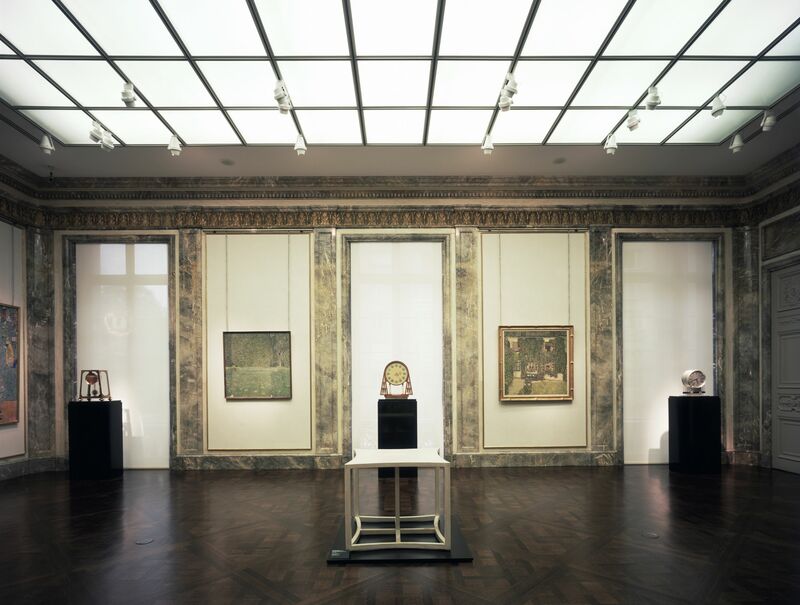 Selldorf Architects transformed a 1914 Carrere & Hastings building into the Neue Galerie New York. 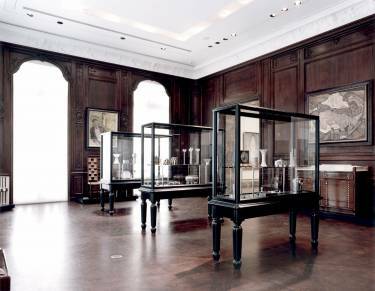 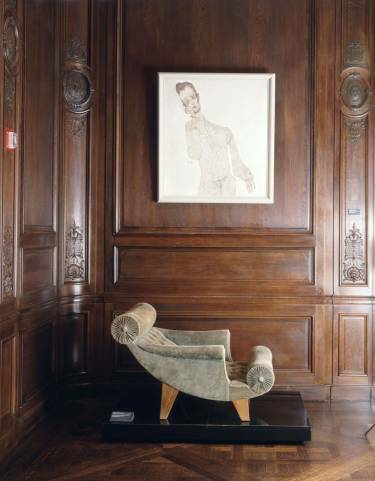 The design mandate called for an intimate setting in which to view a diverse collection of fine and decorative arts. 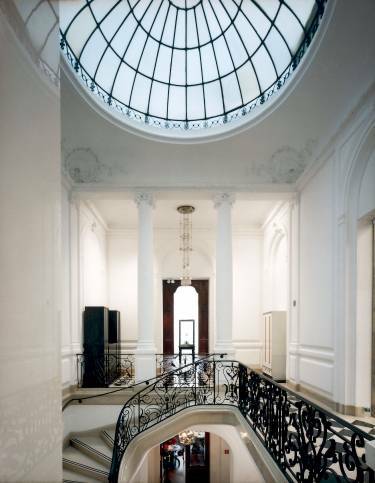 Equally important to both architect and client was the uncompromising restoration of historical elements despite complex but necessary structural and mechanical modifications. 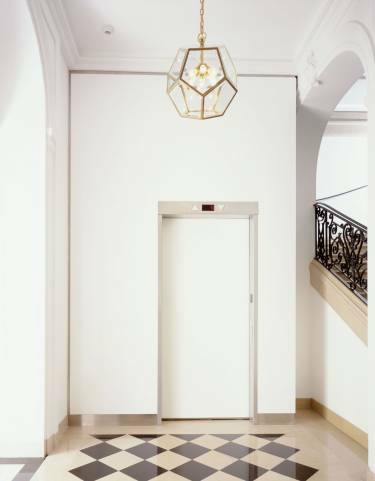 The program included all facilities and improvements required for a contemporary museum, such as a large capacity elevator, a precisely calibrated climate-control system, sophisticated lighting, and audio and security systems. 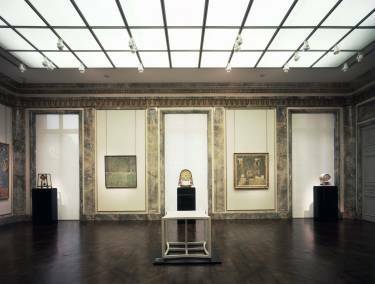 Individual floors required significant restoration and were then adapted to accommodate the needs of a museum, including a café, bookstore, coatroom, design shop and reception area on the first floor; gallery space on the second and third floors; administrative offices on the fourth floor; a conservation laboratory on the fifth floor; and a lecture hall, public bathrooms, and a security center in the basement.